My name's Jan and this is my website all about La Alfoquia in Spain. Register now for free to talk about Introduce yourselves in La Alfoquia and much more! I just can’t wait to complete on the next chapter of my life. But the end of April I hope to be the proud owner of a lovely apartment in Palomares. I sold my financial services business and retired about 7 years ago ( I’m 68) and live just outside Bristol . I’m so looking forward to meeting new friends, and learning all about what this part of the world has to offer. I know it’s going to be just wonderful. I can’t wait!! Best of luck with the move. 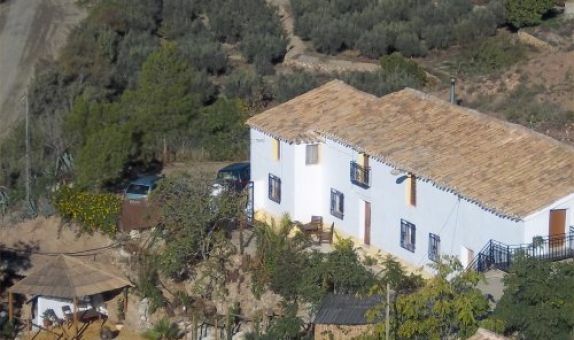 We have a property on the Hacienda del Marques 1 complex and really like the village. Hi and again welcome to Spain and best of luck with youre new adventure. Partner and I live inland, a small village called "Urcal" near Huercal Overa, up the coast and inland, been here just over 2 years and love it, hope you do too. Advice on availability of treatment for Macular Degeneration & Gloucoma.